At Sign Language we believe in providing quality signage products and services designed to increase your branding and image awareness. We are a Redland City based company servicing the south side of Brisbane and local areas from Capalaba, Cleveland, Wellington Point, Victoria Point and also the Wynnum and Manly areas. For over 25 years we have been helping local clients with their marketing efforts by creating unique, memorable logos and signage solutions. 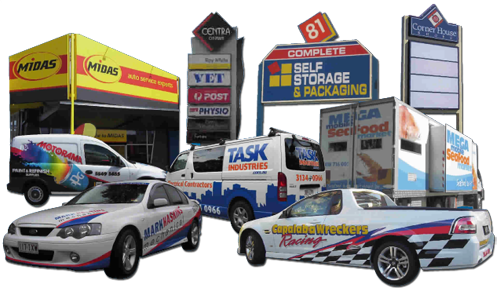 Signage such as pylons, shopfronts and external signs designed and built to last, vehicle graphics designed to drive the message to your audience. Business cards, banners, promotional products and more. Give us a call today.